Techno Future, which is part of the Uzbekistan-based Artel Group, has been satisfied with sales in its first year after starting production in 2017. Bahodir Karimov, Deputy Managing Director of Techno Future, said that the company had manufactured 10,000 collectors, sold under the Royal brand, in 2018. The business put up its factory in partnership with Turkish-based Solimpeks, which has continued to work with Techno Future to develop the solar thermal business unit within the Artel Group. “We sold most of what we produced in Uzbekistan via sales partners, but some collectors were exported to Kazakhstan, Afghanistan, Kyrgyzstan, Tajikistan and Turkey,” said Karimov. In addition, the business is planning to offer turnkey installations in the foreseeable future. Its customers are mostly consumers and state agencies currently using gas to meet hot water needs. Nevertheless, Techno Future’s portfolio also includes relatively large solar thermal systems consisting of 50 to 90 collectors. They heat water at schools, swimming pools, nurseries, blocks of flats and canteens. According to Karimov, last year’s biggest system was installed at a School of Astronomy in Tashkent, the capital of Uzbekistan, where 90 collectors provide energy for 6 tonnes of hot water daily. Karimov explained that Techno Future relied on a few main components imported from EU member states to make the collectors. Production capacity was between 80,000 and 100,000 units a year. Per its long-term business plan, the business aims to be at full capacity by 2022, when the PP-3379 building regulations take effect. The new rules will permit only solar water heaters that were manufactured in the country to be installed in public buildings. According to Karimov, Uzbekistan offered good prospects for solar thermal technology, considering the high number of sunny days the country enjoyed each year. Comparatively cheap fossil fuels, subsidised by the state, however, make deploying solar thermal systems a difficult task. Still, demand seems to be growing, and Karimov expects system sales across the country to total between 15 and 18 million over the long term. Techno Future is currently updating its range of collectors and boilers to be able to offer new, innovative devices. These R&D efforts include finding ways to make devices cheaper and easier to install, to put the company in a better position to compete with importers of Chinese-made products. Karimov stated that Techno Future have also plans to start manufacture storage tanks for use with thermosiphon systems based on vacuum tubes. 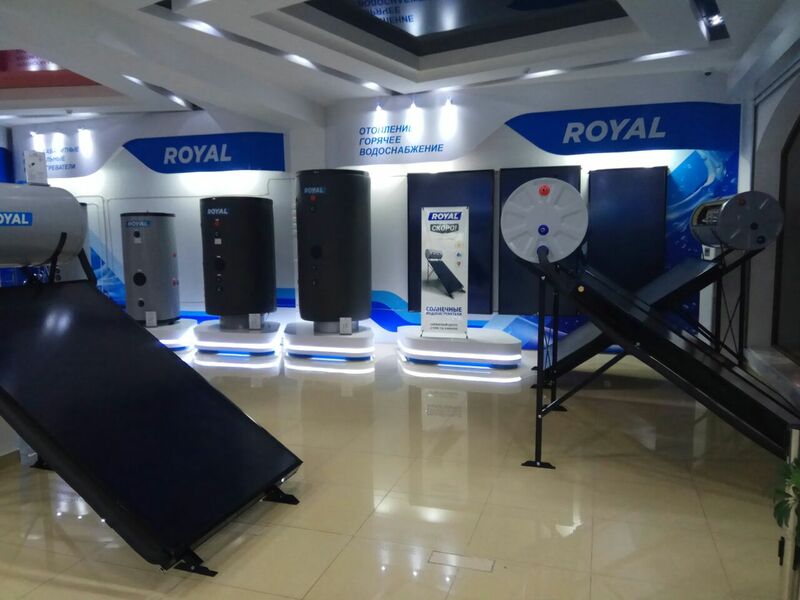 Furthermore, it would widen its product range to include storage tanks equipped with two heat exchangers, one for the boiler and one for the solar field, to offer complete indirect pumped solar thermal solutions. This article was written by Eugene Gerden, a Moscow-based freelance journalist specialising in renewable energies.